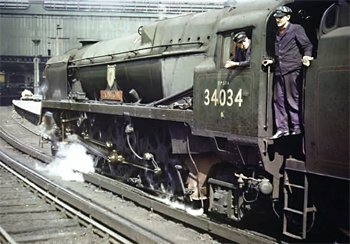 For more than 20 years, book authors and magazine writers have unwittingly perpetuated errors with regard to the withdrawal and scrapping of many BR steam locomotives. Now a major project is being launched to set the record straight. ROGER BUTCHER reports. The publication of the souvenir issue of The Railway Magazine sees the official launch of the HSBT Project, an attempt to accurately document the withdrawal, storage and disposal of the steam locomotives that existed in the last 12 years of the British Railways steam era. In the 41 years since the final demise of BR-owned standard gauge steam, only one enthusiast, Peter Hands, has attempted to publish comprehensive information on this subject. Peter’s generous endorsement of this new project (see panel below) is very much appreciated and our team already possesses a great deal of primary source information that was simply not available to him. It all started in a top-floor flat in Cosham, Hants, in the latter part of 2007 after my lifelong friend Terry Hayward had survived an operation for the removal of a tumour. We decided it would be therapeutic to re-live our 1960s trainspotting days by discussing and analysing the steam locomotives we had seen together. Fortunately, we had both retained comprehensive and detailed records of what locomotives we saw and exactly where and when we saw them. 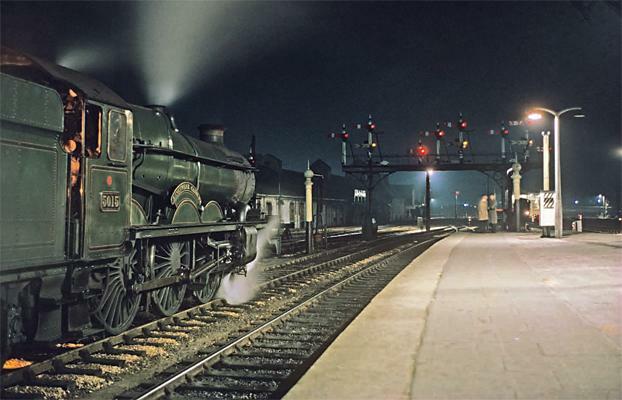 Initially, the idea was simply to rekindle some wonderful memories of 52-hour weekend ‘shed bashes’ as we tried to see as many steam locomotives as possible before it was too late; memories of trips on which one could expect to see as many as 1,500 engines in a single weekend! Those were the days! 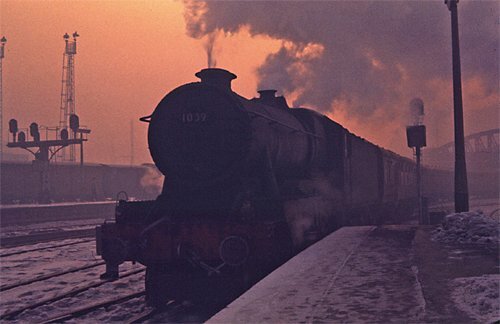 In the 1960s, Terry and I had also taken a particular interest in scrapyards and in withdrawn and stored locos either awaiting disposal on shed sidings or in transit to scrapyards. So, in the 1980s, Terry – like many enthusiasts – had bought a complete set of Peter Hands’ ‘What Happened to Steam’ books (‘WHTS’). However, like myself, he had never actually compared them with our personal records. As part of this exercise, we started to. It soon became apparent that the books could not be relied upon, so we decided to dig a little deeper. As those of us who remember the last ten years of steam will know, John Cashmore Ltd was by far the most significant firm involved in the disposal of steam – more than 2,150 steam locomotives ending their days at either its yard in Newport, Monmouthshire, or atGreat Bridge, near Tipton in the West Midlands. Some ten years ago, I acquired a copy of the Cashmore company’s official records of the locomotives it had scrapped. 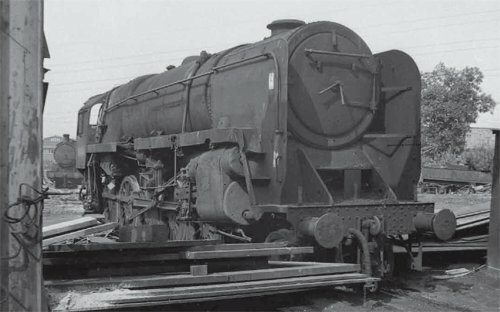 The information included the actual day a loco was taken into the yard for scrapping. It was vaguely my intention to one day compile a book on the Newport yard as it was only a few miles from where I was born and I had been a regular visitor in the mid-1960s. However, these records were now to serve a different purpose! Whilst recovering from his operation, Terry, a retired Merchant Navy engineer, offered to painstakingly compare the Cashmore records with Peter Hands’ books – a long task, but one that would give us an idea of the extent of the problem. The result of his analysis was astonishing. Quite simply, approximately 50 per cent of the Cashmore entries in the WHTS books were incorrect!
" Firstly, I would like to thank the Editor of The Railway Magazine for giving me the opportunity to refute any suggestion that I deliberately fabricated some of the storage and disposal information in my ‘What Happened to Steam’ books (published between 1980 and 1985). The information within those books was collated during the 1970s from the only two sources available to me at the time – railway journals and via correspondence with other rail enthusiasts whose knowledge of disposals was published by myself in good faith. It now transpires, many years later, that some of the information I received from both sources was wrong, but how was I to know that at the time? The authors of this new ‘What Happened to Steam’-style venture have my full backing because, after all is said and done, it is in the interests of all true enthusiasts to have totally accurate records of the disposals of steam locomotives. How I envy the mass of new information they now have at their fingertips. If only I’d had access to the same all those years ago!" 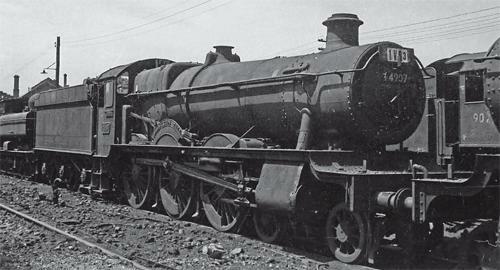 Many of the discrepancies regarded dates, but there was an unacceptable level of locos shown in the books to have been scrapped by the company that were not so – and vice versa. Terry’s next task was to compare the books with Brian Egan and Ian Scotney’s book ‘British Railways Locomotives cut up by Draper’s of Hull’, which had also been based on official company records. Again, the comparison work showed significant discrepancies, albeit not on the same level as the Cashmore records. During 2008, I mentioned the above to Michael Hale (who sadly passed away in January this year) and he not only offered to send me his comprehensive notes on his visits to scrapyards in South Wales and the West Midlands, but let me have copies of colour photographs he took at Cashmore’s of Newport and Bird’s of Risca. 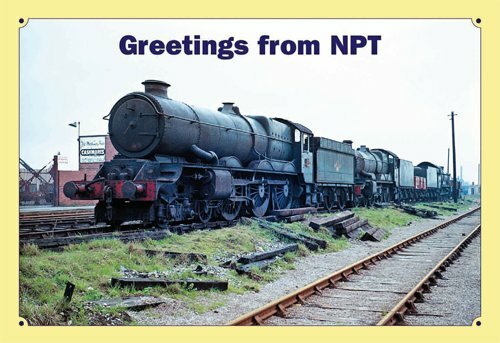 I decided to use one of his photos, of a ‘King’ and two ‘Castles’ in Town Dock East sidings awaiting transfer into Cashmore’s yard, on the New Year cards sent out to clients and friends by my company, NPT Publishing. The caption on the card referred to the fact that I possessed a copy of the official Cashmore records. After the cards had been sent out, I received a letter by return of post from the General Secretary of the Steam Railway Research Society (SRRS), Richard Strange, and another from retired railway clerk Peter Trushell – almost certainly the two most authoritative experts on the disposal of the BR steam locomotive fleet. Over many years, Richard and Peter had painstakingly compiled records – from primary sources – of withdrawals, storage and disposal, but even they had many gaps in their records, which they believed could be reduced by access to the official Cashmore records. Richard had long been aware that the WHTS books not only contained many errors but also a significant amount of information that appeared simply to have been guessed at. However, although he had made his views known to many of the book and periodical publishers who were taking the WHTS information ‘as gospel’, he was simply ignored. What makes it so serious – and you cannot blame the WHTS books for this – is that so many other books published over the last 25 years have simply copied the information from the Peter Hands’ books. Some – such as Hugh Longworth’s ‘British Railway Steam Locomotives 1948-1968’ – acknowledge WHTS among their sources, but, more often than not, the source is not acknowledged. It is, however, clear that the information has been copied . . . sometimes complete with typographical errors! Where was this ‘Jubilee’ scrapped? Even though the extensive research by the HSBT team has produced an immense amount of new information, some mysteries still exist. Peter Hands’ books say that ‘Jubilees’ Nos. 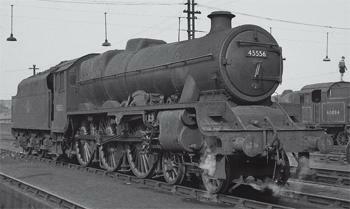 45556 Nova Scotia, 45573 Newfoundland, 45608 Gibraltar and 45643 Rodney were scrapped at Cashmore’s, Great Bridge, but an analysis of the firm’s official records reveals that this was not the case. 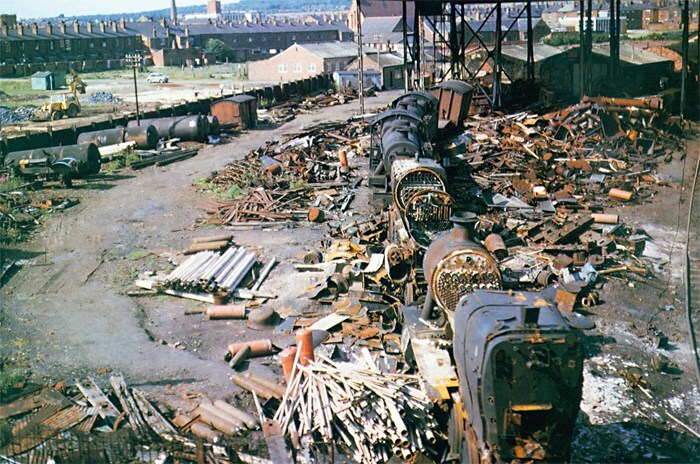 It has now been found that 45573, 45608 and 45643 were broken up at Clayton & Davie’s yard at Dunston-on-Tyne. 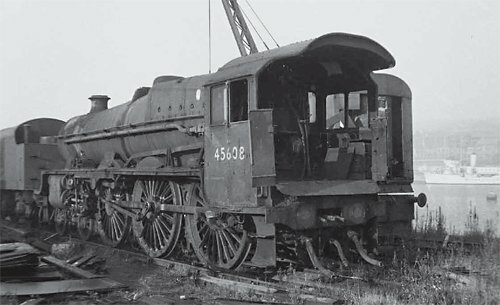 However, there is no record of 45556 going there, so in which yard was Nova Scotia scrapped? This is an example of how Railway Magazine readers can, after all these years, suddenly have a unique chance to help re-write the railway history books. If any reader has photographs or other documentary evidence of where No. 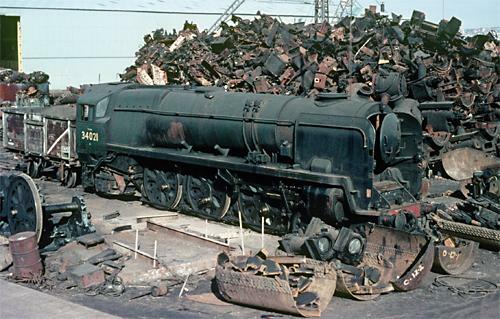 45556 (or any other disputed loco) was cut up, can they please send it to the editor, who will pass it on to the HSBT team for inclusion in the database. has been drawn from, say, five different books– as though that somehow makes it right! Such authors obviously have no understanding of the meaning of the phrase ‘primary sources’! Clearly, for the sake of railway history, this situation could not be allowed to go on and so the four of us resolved to pool our knowledge and resources. Thus was the HSBT (Hayward Strange Butcher Trushell) Project born. 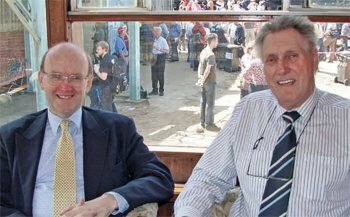 Other key people involved with us include railwayman John Hall, retired civil servant Keith Gunner and retired librarian Ross Woollard, who is the librarian of the Steam Railway Research Society. Each person’s area of special responsibility is shown below, although all the books to be published are, of course, a team effort. As we researched further, we began finding photographic evidence of engines actually being scrapped at locations that in some cases were hundreds of miles from those in the WHTS books! It became obvious that the record had to be put straight for the sake of railway history. It is at this point that I would very much like to record my appreciation of the support and backing of The Railway Magazine in officially helping us to launch this project. The RM is Britain’s top selling rail title by far and both editor Nick Pigott and deputy Chris Milner share our passionate interest in the fate of steam. This led Terry and I to approach The RM team at their Eastleigh open event in May. Coincidentally, Terry and I had first met outside Eastleigh Works 45 years previously when I showed him how to ‘bunk’ the place. Not that he needed much persuading! (a) has copies of, or access to, official scrapyard records or who worked at any of the yards. (b) Visited scrapyards and has notes and/or photographs of what he saw. (c) Has copies of, or access to, documents about movements from sheds and works to scrapyards – or documents providing details of locomotive sales to scrapyards. As an incentive to encourage you to dig out your records from your loft, garage or wherever, everyone who helps us will be able to buy the books at a discount – and if the help given is really extensive or significant, the book(s) will be given to you completely free of charge. In addition, everyone who participates or helps in the project will be personally acknowledged in the books, whether or not the help is large or small. from the book sales will be donated to charity– and if anyone can provide us with the majority of the information we need, then they too can nominate their favourite charity! This project is not a commercial venture, but an opportunity to involve everyone with knowledge or photos to come together and complete the final pieces of the jigsaw. Photographs of steam locomotives at, or en route to, scrapyards will obviously be vital, not only to help illustrate the books but to help us confirm data. In this respect, we are very grateful to David Allen, Barry Hoper, Kevin Derrick and Rod and Stewart Blencowe, who have pledged us their support. Thanks also to the Engine Shed Society, the Monmouthshire Railway Society, the National Railway Museum, the Stephenson Locomotive Society and the Welsh Railways Research Circle, who have all pledged their assistance. Thanks also to those individuals – mainly aged 60+ now – who, having the time to study their own personal notes, have already been in touch to offer their support as they too have been bewildered by continually reading storage and disposal information that simply doesn't tally with their own personal observations. One such reader is Brian Edinboro, who has trawled through his notebooks and typed up several years of storage dates and locations. Hopefully, once this article is published, other individuals and societies will step forward. Please get in touch (my contact details appear below), but, if comparing your notes with the WHTS books before deciding whether to contact us, do make sure that you are using his later (revised) editions and please also note that we are only interested in ‘primary source’ information, so do not send any text details you find in publications (although we would appreciate being told of published photographs we might not be aware of). The same applies to the plethora of internet sites on this topic, as almost all the information originates from the same sources, complete with the same errors! We are going back to square one because, quite simply, the circle of a continual perpetuation of errors has to be broken! Postal contact: HSBT Project, 26 Priory Gardens, Langstone, Newport, NP18 2JG. The author has generously donated his fee for this feature to the Naomi House Children’s Hospice, Winchester.